On the eve of her wedding, a young queen sets out to rescue a princess from an enchantment. She casts aside her fine wedding clothes, takes her chain mail and her sword and follows her brave dwarf retainers into the tunnels under the mountain towards the sleeping kingdom. This queen will decide her own future - and the princess who needs rescuing is not quite what she seems. Twisting together the familiar and the new, this perfectly delicious, captivating and darkly funny tale shows its creators at the peak of their talents. A 21st century fairy tale. What begins looking like a simple retelling of classic fairy tales ultimately delivers so very much more. On the surface this certainly looks like any other classic children’s book, combining text and illustration to create an ensemble that is certainly visually appealing. 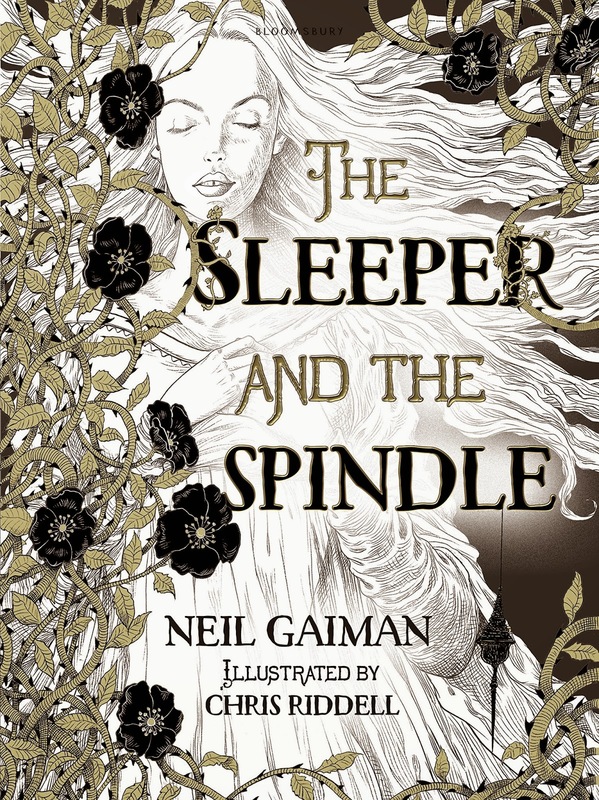 The story however is anything but a standard fairy tale (but then from Gaiman would you expect anything less). No longer is the helpless princess waiting for the prince to rescue her, it is instead the princess herself who is the heroine of the piece. Equipped with sword and armour she leads a small band of dwarves to rescue a city under the thrall of a dark spell. This is certainly a refreshingly modern fairy tale no longer reliant on outdated gender stereotypes and which will certainly appeal to younger girls (especially any with Tomboy natures). This would make a wonderful piece of bedtime reading for the modern youngster.